I’m already super excited about 2014, feeling super positive about it all. I had an enjoyable end to 2013, I hope you did too. A few bits and pieces of news to start the year off. I’ve got a track on Venation, a new compilation from Brisbane’s Duskdarter label. This is a free releases, and includes an exclusive track of mine titled Glider, recorded in October 2013. The compilation also includes tracks from Feet Teeth, Kahl Monticone, Marisa Allen (Bremen Town Musician), Cedie Janson (Naked Maja) and more! I’ve really been enjoying listening to it. In other news, I’ll have a new cassette edition, titled Infinite Spring, out on the A Guide To Saints label in the next couple of months. I’ve also contributed some electronics/guitar/voice (!) to a track off the forthcoming Bremen Town Musician album, which I understand will be getting a physical release on Duskdarter in the next few months. Just the one this month, but it should be a great one. 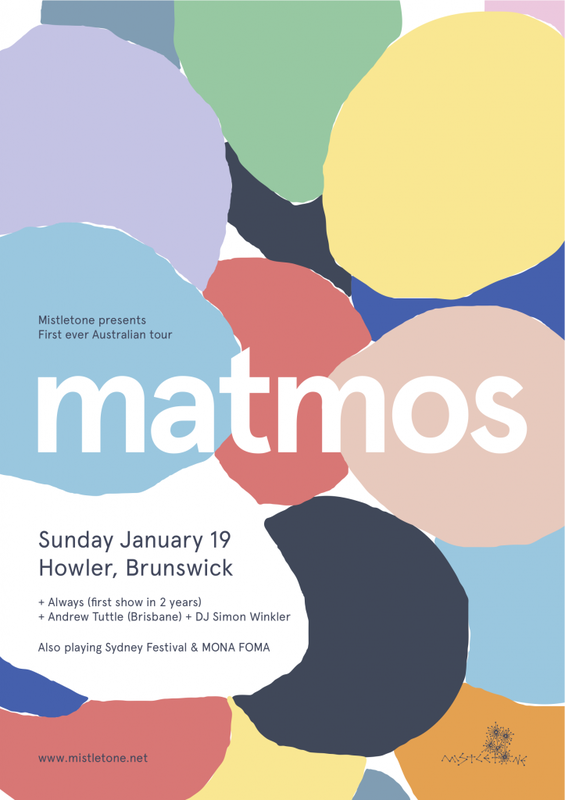 The good folks at Mistletone have invited me to support Matmos (USA) at their Melbourne show on Sunday 19 January. Really looking forward to this show! More info here. I’ll also likely do a short East Coast tour in late March for Infinite Spring, open to offers so please do get in touch if you’re interested in hosting a show. My track Brisbane (from the 4064 EP and also from the spin-off Brisbane, Rezoned EP) came in at #67 in 4ZZZ FM‘s Hot 100 countdown, which was a nice little surprise. Thanks, Zed!